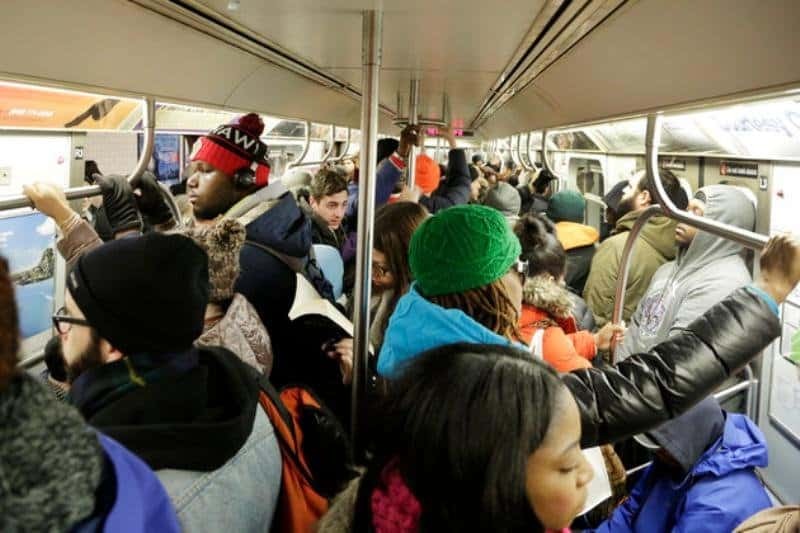 This is one of the many scenes in overcrowded subways in Brooklyn, New York on Monday. Because so many citizens still have their cars buried in snow, this was the only way to get around. 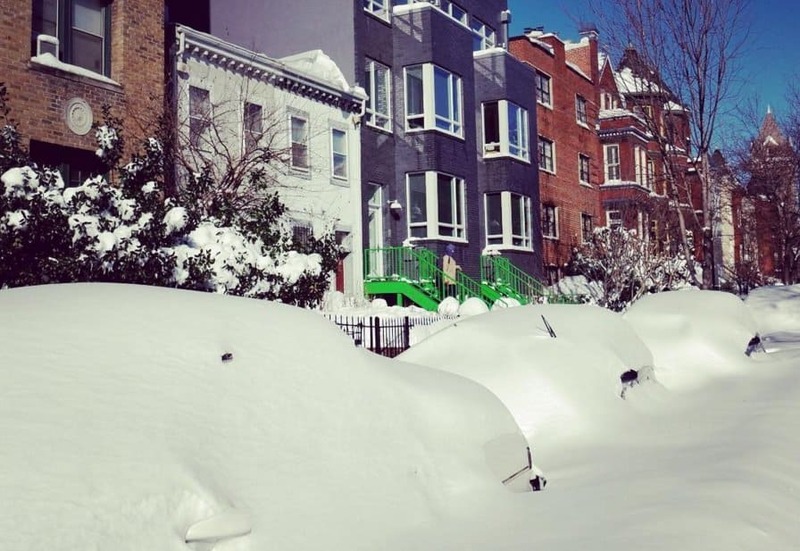 It was back to work for many people on Monday, and some even had to plow their own way into buildings. 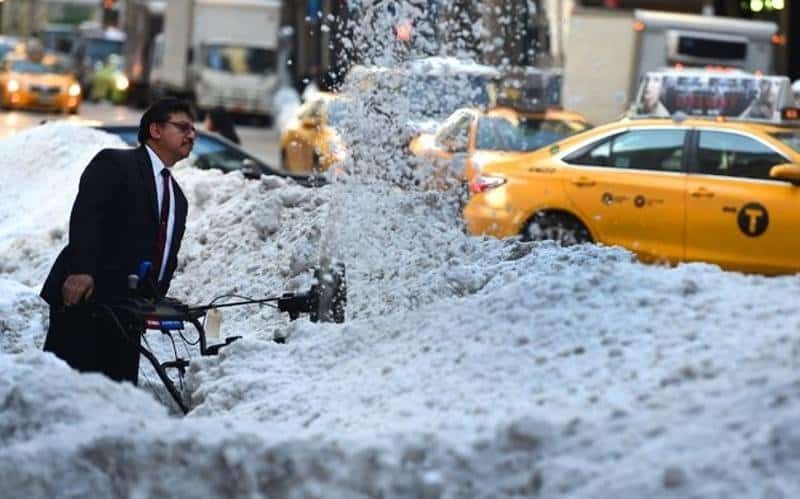 Here’s a worker clearing his own way on Third Avenue in New York City. 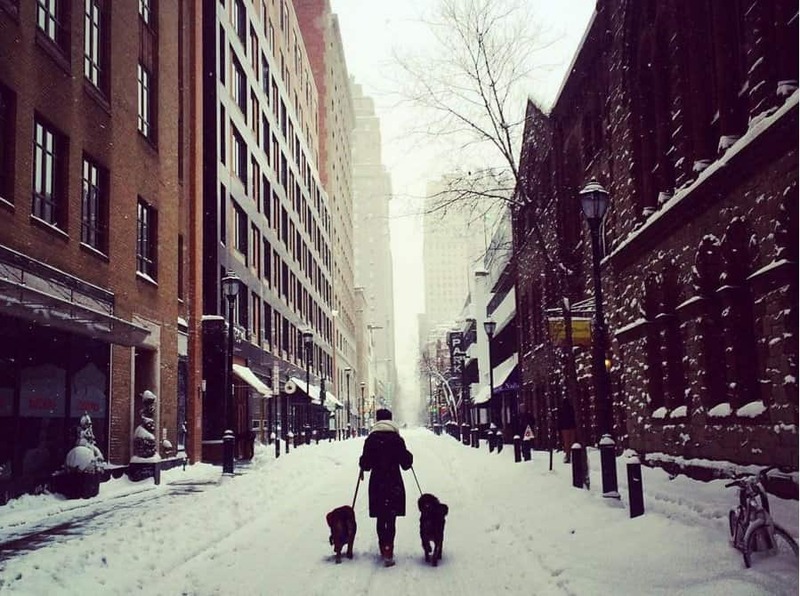 In Philadelphia, the snow didn’t stop this person from gathering their two dogs and going for a walk in it. Contrary to what you might expect, dogs actually love running in the white stuff. 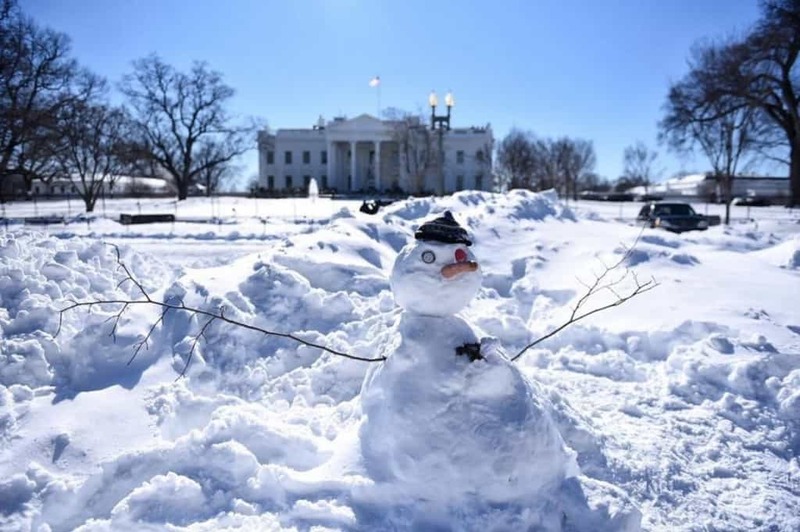 It’s admittedly a little goofy looking, but somebody made a snowman close to the White House in Washington DC. If there’s any magic in that hat, he may want to move out immediately or he could become a national threat. Some places may not have gotten as much snow, but the same storm system created massive flooding in New Jersey. 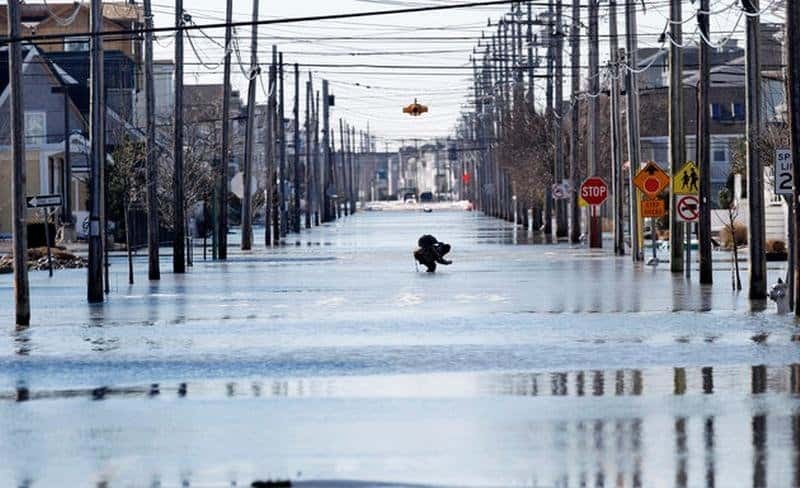 Here’s somebody walking along a flooded road in Sea Isle City. 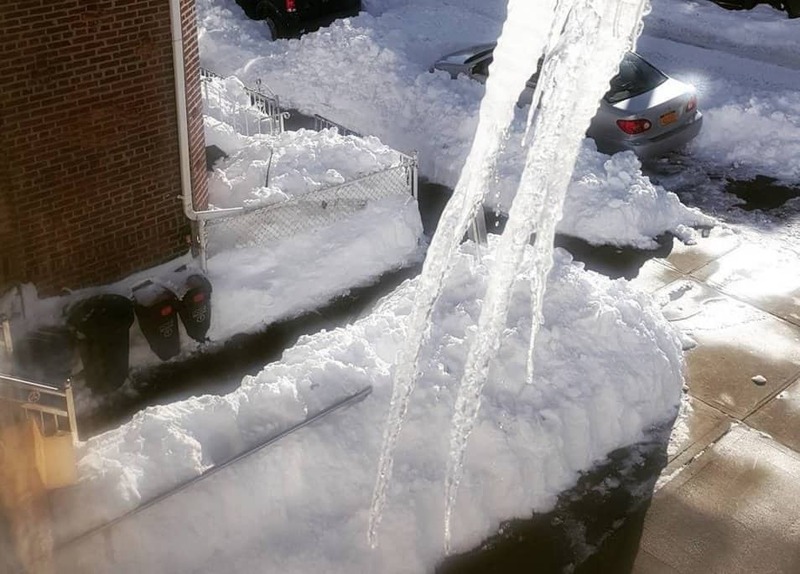 Higher temperatures have created flash flooding and also some very scary looking icicles. Here’s one in a New York neighborhood that was formed in the warmer weather days after the storm. Lots of public transportation closed down during the storm. 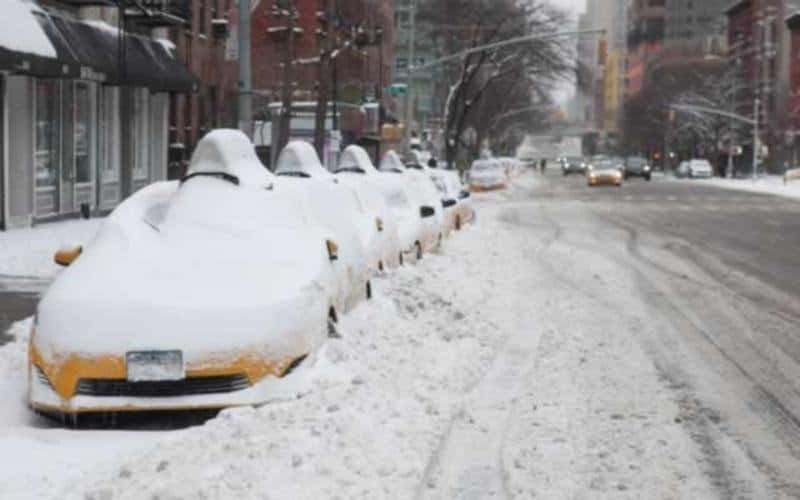 Here are a number of taxis that were buried along the side of the road in New York. 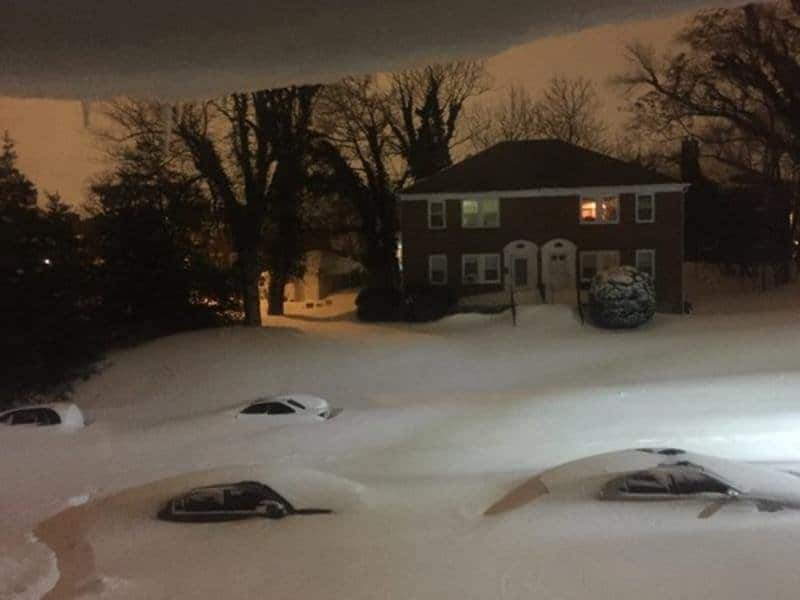 A man in Baltimore uploaded this photo from the comfort of his home. You can see just how high the snow piled up on the road as it reached right up to the car windows. 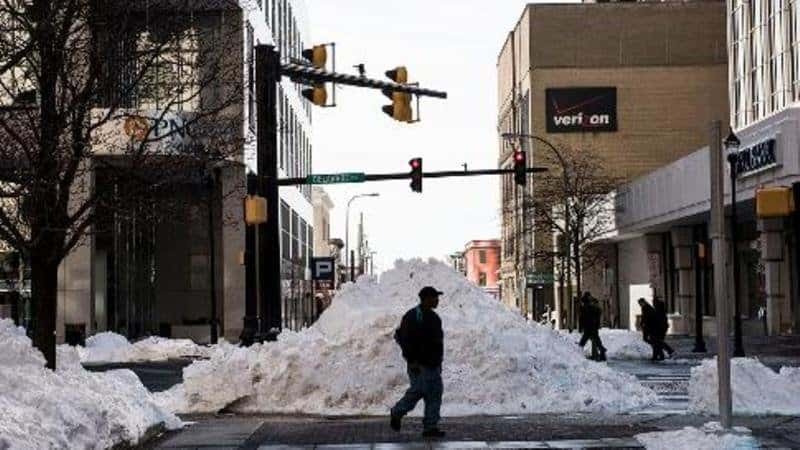 A snow pile in this picture closed down Delaware Avenue in Wilmington, Delaware. There aren’t many places to store this much snow, so some roads have to be sacrificed until the piles start melting.